Inkheart is among one of the first books I can remember really loving. I can’t remember how old I was when I first read it, but I imagine I was around Meggie’s age. Now, reading this again in my early adult years, I’m reminded of why I loved it so much. Inkheart tells the story of 12-year-old Meggie and her father, Mo. Meggie has grown up with a father who loves books, but she can never remember Mo reading aloud to her. Mo has a deep, dark secret that Meggie soon becomes privy to: Mo can read characters and things into/out of books. Unfortunately, on one fateful night when Meggie was just a baby, Mo read a terrible villain into the real world, and has been running from Capricorn ever since. The premise of this novel is one I’ve loved since I first picked up the book. To think that someone could read a character out of a book and into the real world… is there anything more magical than that? Tack onto the great premise a host of believable, well-rounded, flawed characters, and you’ve got yourself a book you’ll always remember. Even though Inkheart was not originally written in English (the author, Cornelia Funke, is German), this translation has been beautifully done by Anthea Bell. Every sense, every movement… it feels real, and that is a direct result of beautiful writing (and crafty editing). There are constant twists and turns in Inkheart, from Dustfinger’s betrayal of Mo; to the captivity of Mo, Meggie and Elinor in Capricorn’s village; to finding out that Meggie can also read things out of books. There’s never a dull moment. 1. When Mo, Meggie, and Dustfinger go to visit Fenoglio, and Dustfinger learns the ending to his story. 2. When Elinor shows that she isn’t just a book-raving lunatic, but a kind, warm-hearted, invested relative of Mo’s. 3. When Meggie learns that she can read things out of books, just like her father, and uses this ability to save the day. 4. When Mo and Meggie learn that Meggie’s mother has been living in Capricorn’s village, and they’re finally reunited. I love that everything comes full circle when Mo discovers that his wife—Meggie’s mother—has been in Capricorn’s village all this time. She isn’t, in fact, lost forever, but has been returned to Mo’s world (if only a little damaged). There’s a chance for a happily ever after, if only Meggie can save the day. I think my favourite thing about Inkheart is that it’s filled with believable, loveable characters. Every single character who is mentioned by name in this book has a purpose, which is something I don’t often find in fantasy fiction. Additionally, everyone has their own personal journey that they’re on, and they all come to fruition in the end. It is utterly fascinating to be able to watch so many realistic stories come to life. Inkheart is a wonderfully written, fantastical story about love, loss, and the ability of an underdog to rise. Funke successfully builds a world not our own, but which intermingles with our world. Even though Capricorn, Farid, Dustfinger, Basta, Flatnose—among others—do not belong in our world, they find their way here and have to adapt. This is a fantastic examination of what it would be like if stories came to life. When you were a child, did you ever wish you could be a part of a story? Did you ever wish that you were a character in a given story? I think this is a phenomenon that any child experiences when reading fiction, and Inkheart serves as a cautionary tale for why our story is separated from literary stories. Would we want to find ourselves landed in Harry Potter, in the middle of a war against Lord Voldemort? Perhaps there’s a reason us Muggles (or in Inkheart’s case, Earthly humans), are not a part of literary fiction in any direct way. I would recommend Inkheart to virtually anyone who likes a little bit of fantasy fiction (particularly bookworms). Not only does the book teach lessons, but it is also entertaining as hell. 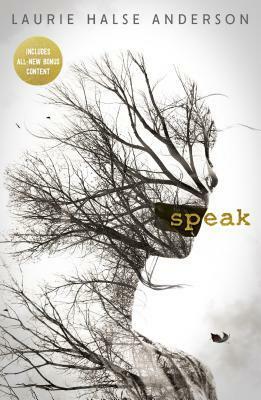 Cheers to a book which addresses incredibly huge issues in a way that doesn’t belittle younger readers. 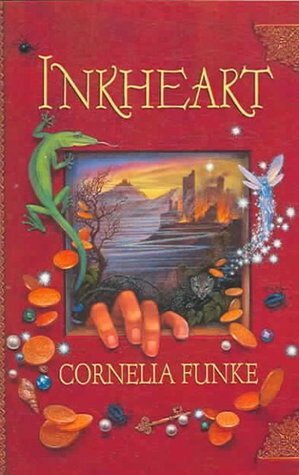 My full review of Cornelia Funke’s Inkheart is also available on Goodreads. Have you read Inkheart? What did you think? Please leave a comment below (spoiler free)! Bree Crowder is a YA writer and editor. She holds a B.A. in English, a graduate certificate in Creative Writing, and is currently pursuing an M.A. in Creative & Critical Writing. Writing, reading, photography, and travel are a few of her favourite things.